The classic exante diet weight loss shake. 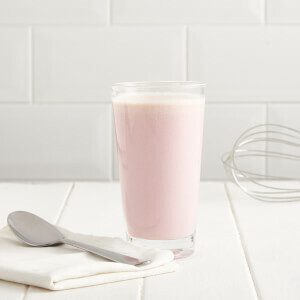 This thick and creamy exante meal replacement shake features a classic banana taste. exante diet shakes are also gluten-free and suitable for people with Coeliac disease. Skimmed Milk Powder, Whey Protein Concentrate (Milk),Vegetable Oils (Refined Soybean Oil, Maltodextrin, Milk Proteins, Emulsifier (Soy Lecithins), Antioxidant (Fatty Acid Esters of Ascorbic Acid, Alpha-Tocopherol)), Soy Protein, Vegetable Oils (Refined Coconut Oil, Whey Powder (Milk), Milk Protein, Stabilizer (Triphosphates Acetylated Oxidised Starch), Free Flowing Agent (Tricalcium Phosphate)), Maltodextrin, Natural Flavouring, Potassium Citrate, Emulsifier (Xanthan Gum), DI-Potassium Phosphate, Sodium Chloride, Calcium Chloride, Magnesium Oxide, Vitamin Premix (Vitamin C, Maltodextrin, Zinc, Iron, Vitamin E, Niacin, Copper, Vitamin A, Fluoride, Manganese, Pantothenic Acid, Biotin, Chromium Chloride, Selenium, Folic Acid, Vitamin D, Potassium, Vitamin B12, Chloride, Vitamin K, Thiamine, Riboflavin, Molybdenum),Natural Colour (Beta Carotene), Turmeric Extract, Sweetener (Sucralose).